OnLive Meets A "Destructive End To The Company"
That's a damn shame. I love the philosophy of OnLive and had high hopes for the company. I'm still holding out hope for Microsoft to absorb the company as they should have done years ago. In the meantime, I hope the employees are taken care of. OnLive, the pioneer of instant-action cloud computing, announced today that on August 17th all of its assets were acquired by a newly formed company that will continue to operate under the OnLive name. The OnLive® Game and Desktop Services, all OnLive Devices and Apps, as well as all OnLive partnerships, are expected to continue without interruption and all customer purchases will remain intact; users are not expected to notice any change whatsoever. OnLive's current initiatives will continue as well, with major announcements of new products and services planned in the coming weeks and months. An affiliate of Lauder Partners was the first investor in the newly-structured company, holding the view that OnLive is the future of computing and entertainment, and a passion to see OnLive's breakthrough technology continue to grow and evolve. The new company structure enables OnLive to do so. Note: Lauder Partners is a venture capital firm headed up by Gary Lauder, grandson of cosmetics legend Estée Lauder and a Silicon Valley potentate who's been behind several cable, IPTV and web ventures. OnLive hit the gaming world hard when it launched in 2009. Promising playable games there were lag free, OnLive moved gaming to the cloud. The service took some time to gain traction but finally hit its stride last year with the addition of several top-tier titles. It was rumored in June that even Microsoft considered buying the company. Some even thought OnLive would be a good fit within Sony — until Sony bought OnLive competitor Gaikai last month instead. “Sony Computer Entertainment will deliver a world-class cloud-streaming service” Andrew House, president and group CEO of SCE said last month. Sony paid $380M for Gaikai, a cloud gaming company with nearly zero brand recognition. OnLive could have gone for a lot more. 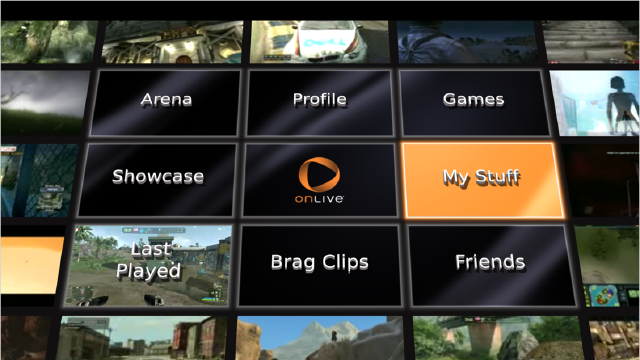 For an upstart cloud gaming service, OnLive has done relatively well for itself. The company initially outed only one cloud gaming console, but quickly embraced others. The software works with most Android tablets, ships preinstalled on Vizio TVs (and its new Co Star Google TV), and is available for the iPad and computer desktops. We reached out to OnLive for comment but the company will neither confirm nor deny the claim. All the PR rep was willing to say was that the aforementioned Vizio Co Star launches today. The company also would not comment on the layoffs but Martyn Williams tweeted seeing OnLive staffers leaving their office carry boxes. These people likely just lost their jobs and equity prior to OnLive’s exit. Update: OnLive provided TechCrunch the statement below. Like earlier reports suggested, it sounds like OnLive Inc. was dissolved and a new company, OnLive Inc 2 or something of the sort, will continue in its place and is likely backed by new investors. The statement indicates that “a large percentage of OnLive Inc.’s staff” will be hired by this new company, which will then hire more people. But there’s no word on if the original employees completely lost their equity. No matter how OnLive spins this move, it’s still looks shady to me. We can now confirm that the assets of OnLive, Inc. have been acquired into a newly-formed company and is backed by substantial funding, and which will continue to operate the OnLive Game and Desktop services, as well as support all of OnLive’s apps and devices, as well as game, productivity and enterprise partnerships. The new company is hiring a large percentage of OnLive, Inc.’s staff across all departments and plans to continue to hire substantially more people, including additional OnLive employees. All previously announced products and services, including those in the works, will continue and there is no expected interruption of any OnLive services. We apologize that we were unable to comment on this transaction until it completed, and were limited to reporting on news related to OnLive’s businesses. Now that the transaction is complete, we are able to make this statement. Wow. That's a lot of update. OnLive service will continue as is. Customers (including me) stay happy. Nearly 1/2 employees will keep their jobs, while others can work as consultants with the possibility of being hired full time. That's good to hear. All-in-all I think this went pretty well. I wonder who this newly formed mystery company is that aquired OnLive. Hmmm...? A few more details - via [Joystiq] - Notes from Onlive's final meeting. "I've been a non-stop fundraising machine," OnLive CEO Steve Perlman told his entire staff yesterday morning. "And I finally got to the point where I just could not bring in enough funding to carry this thing forward." The hundreds of employees that make up OnLive were – en masse – relieved of their positions in yesterday's meeting, including Perlman himself. "All of us, technically, as of today, our jobs have ended – our current jobs with this company," another administrator informed the crowd after Perlman finished speaking. OnLive is entering what is known in California as an "Assignment for the Benefit of Creditors," or an "ABC," (a form of bankruptcy) wherein an "assignee" (a person, persons, or entity) takes over the assets of the current company – in OnLive's case, this means "the software, hardware, network architecture, our logo, all that stuff," according to Perlman – in an effort to lighten the previous company's debts and get its creditors paid off. Thus the "Benefit of Creditors" part of that acronym. Perlman didn't say who that assignee was during the company's meeting, only referring to him as "an extraordinary guy" (not an entity), and a "very accomplished and well known venture capitalist" who is "very wealthy." The unknown assignee apparently believes that OnLive "is the entire future of everything," Perlman told employees. Unfortunately, he isn't wealthy enough to bring on the 150-200 people that OnLive employed. "Here's the tough part, and this is the thing I'm very sorry to say: it's just not possible for one individual in a startup – whether it's that old startup or this new startup – to bring in this many people into a company," Perlman said. Without giving numbers, Perlman said that, in the new company, "the people that come on board are the essential people, as needed, to go and accomplish that goal of getting this thing to cash-flow positive." He prefaced that news with a stinging reality: "The people that are gonna be coming on board here, that will come out of the group ... I'm gonna tell you, most of the people will not be coming on board." So, what caused the sudden implosion of the gaming industry's most successful consumer-facing Cloud Streaming service? In so many words: scale. "There's no way to exactly estimate how many servers we'd need. So we literally bought thousands of them, and all the equipment and networks to go with it," Perlman told employees. Those servers, he said, came with lengthy contracts – contracts that tied OnLive's capital up in maintaining servers that few (if any) users were actually using. "If you've got 8,000 servers and 1,600 users, how could we ever get to cash flow positive, right?" Perlman rhetorically asked employees during the meeting. Beyond the servers, Perlman said the company "dramatically expanded the number of employees" during its past few years. And during those years, it never downscaled to account for its lacking user base. "We made it through the whole recession without any disconnects, any layoffs, or any down rounds," Perlman boasted toward the end of the meeting. Going forward, the employees who won't be joining the new venture are being offered "a very simple consulting arrangement." Former employees who help smooth the transition to the new startup will be offered stock options in the new venture. If at some point that new venture becomes profitable (read: gets sold or goes public), those options gain value. If not, the stock remains worthless. Additionally, any stock that former employees own in the original company ("OnLive, Inc.") are now valueless. This includes the preferred stock options offered to executives. Perlman expressed regret several times during the speech. He even directly accepted blame for the whole mess. "I'm the one that brought you here. I'm the one that ultimately made decisions. And I'm the one that ultimately takes responsibility. So I am sorry, and it didn't end up exactly as we'd hoped," he said. OnLive reps are adamant that the service will continue, uninterrupted, during the transition process, and "future products and services" are also unaffected. Good, considering I just scored 3 free games, and 4 more next weekend.